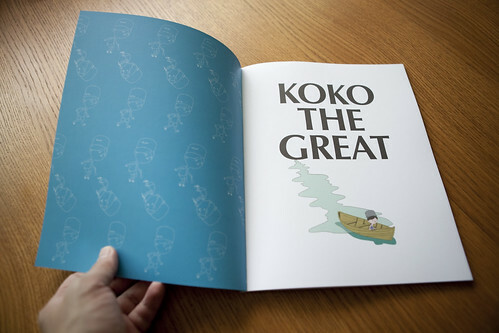 A year after the release of Salted Fish, the National Art Gallery Singapore has published a second title under its "Dreaming Art" series, Koko the Great. Inspired by Liu Kang's painting "Life by the River", Koko is written by Natalie Hennedige, Artistic Director of Cake Theatrical Productions, and illustrated by Twisstii. 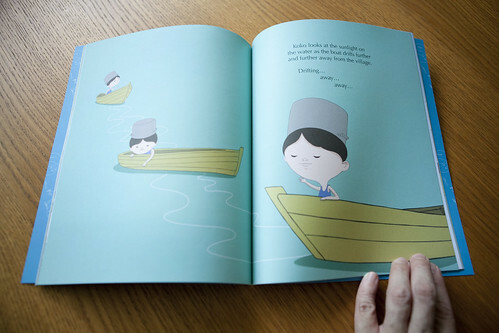 Much like the process for the 2010 book Salted Fish, we were again privileged to work alongside two creative minds, exploring the narrative and visual flow of the story, and the reader's experience from the perspective of book design. 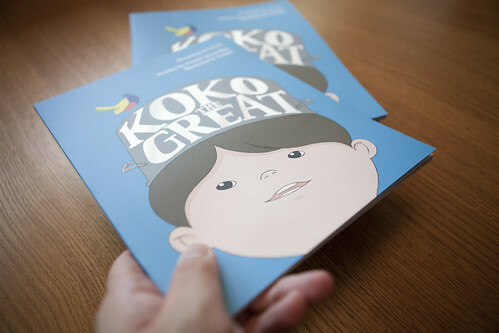 The book (ISBN: 978-981-08-8758-2) will be launched in October at the 2011 Singapore Writers' Festival. Look out for it at all good bookstores!